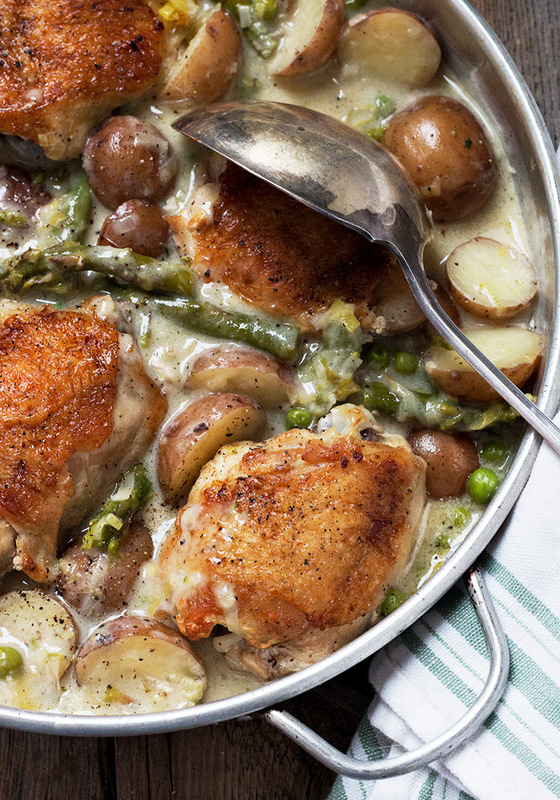 This Creamy Asparagus and Mini Potato Chicken Thighs dinner is hearty and delicious, with mini red potatoes, leeks, asparagus and peas for lots of green goodness, too! In my part of the world, the month of May can present a wide range of weather. It could actually snow one day, then be 80F. the next. So menu planning is definitely day-to-day :) There’s certainly still days that call for something a little heartier, but at the same time, we can celebrate Spring with what’s in season now, like asparagus and peas. 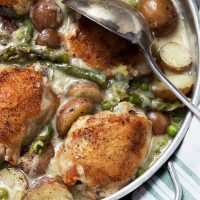 This creamy dish channels my nostalgic love of creamed peas and potatoes, put together with crispy chicken thighs and some more green goodness with the addition of Spring asparagus and leeks. 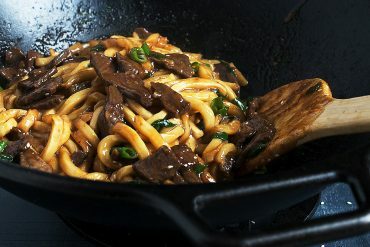 It’s a delicious, all-in-one skillet dinner, sure to satisfy everyone! If you don’t have or want to use wine in this recipe, simply replace with additional chicken broth. Don’t forget to season your sauce at the end, as needed. The proper amount of seasoning will really bring out all the great flavours in this one! I started out with a stainless steel skillet, but switched to a small roasting pan, to comfortably fit all the ingredients. Unless your skillet is quite large and deep, you may wish to go that route, too. A roasting pan has the added benefit of being able to be used on the stove-top at the end as well, without switching pans again. 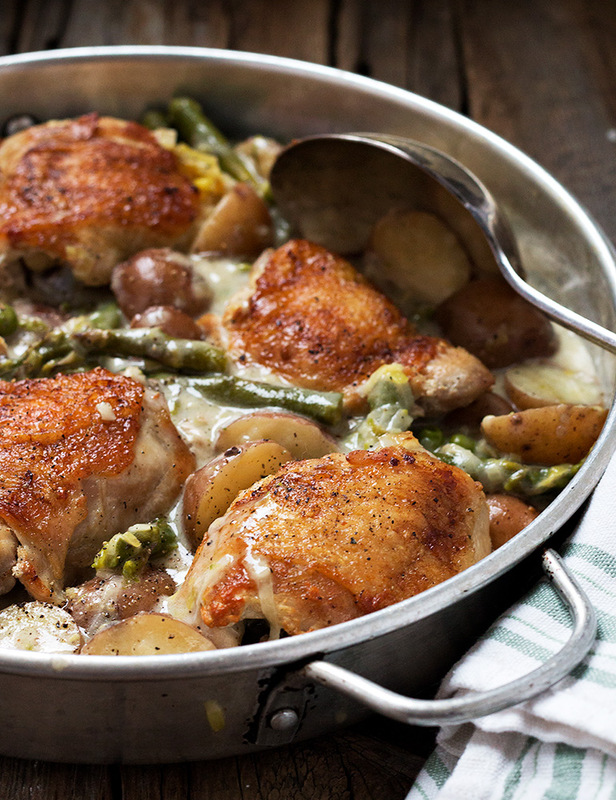 A hearty and delicious all-in-one-skillet dinner, with chicken, potatoes, asparagus and peas. Reduce heat to medium. Add leeks and cook, stirring, until softened, about 4 minutes. Add the wine and allow to simmer about 1 minutes, or until most has evaporated. Add the chicken broth and potatoes, along with a sprinkling of salt and some freshly ground pepper. Bring to a boil, then return chicken to pan, skin side up. (*Note: If your skillet is small, you may wish to transfer it all to a small roasting pan, for more room). Place in oven and allow to cook in the oven for 15 minutes. Remove from oven, add the asparagus and peas. 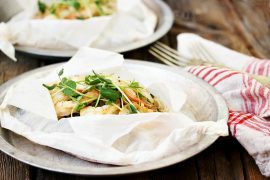 Cover with a lid or aluminum foil and return to the oven until potatoes are tender and chicken is cooked through, about 10-15 minutes mores. Remove from oven. 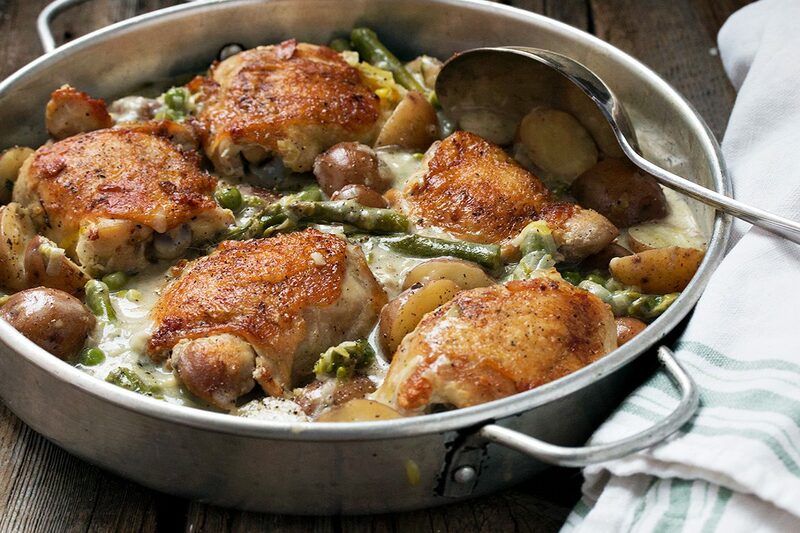 Remove chicken to a plate and place skillet/roasting pan over medium heat on the stove-top. 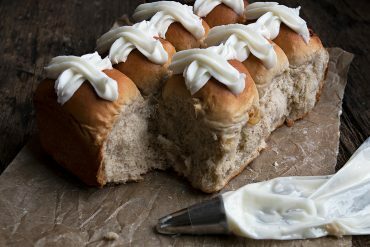 Mix heavy cream with cornstarch. Stir in to pan sauce to stir to combine. Simmer briefly to thicken sauce. Taste, and season with salt and pepper, as necessary. Spoon pan sauce on to plate with chicken and serve. 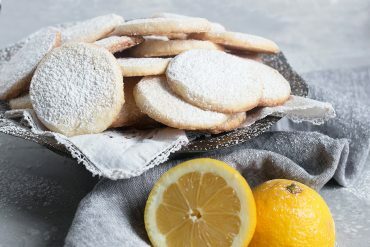 Next articleAll the Sweet Things and Cookies! 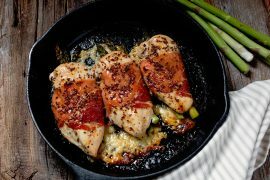 This chicken dish is in the meal rotation for this week. It is always delicious. I like to add mushrooms and some powdered turmeric (I add turmeric to everything.). If I don’t have the frozen peas I will wait until the end and stir in canned sweet peas. Just happened to have asparagus that needed company! An easy & tasty dish – as always! Didn’t have heavy cream but doubled the cornstarch with 10% cream. Slowly learning some of your tricks! Lol! Thanks and that is one of my favourite tricks ;) So glad you enjoyed it! I made this a couple nights ago and we loved it. Delicious! 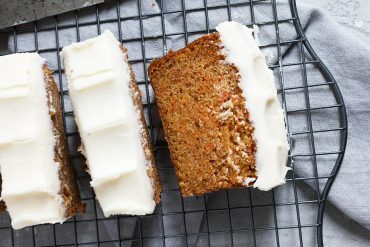 Thanks for sharing so many tasty recipes! Glad to hear, Sarah :) Thanks for coming back to let me know! This was absolutely delicious. Made in 12″ cast iron exactly as shown. This is in the recipe folder. Thank you. Oh my goodness Jennifer, we’re smack dab in the midst of spring here but you’re making me want to take a step back. This looks wonderful, love those crispy thighs! Jennifer, this looks absolutely mouth-watering! It’s my kind of meal. I can’t wait to try your recipe! Thanks so much, Sherry :) I just went and checked sizes! I started out with a stainless steel skillet (because my cast iron skillet had something in it already ;). The skillet is only about 9 1/2 inches diameter x 3 inches deep. I found it cramped, for sure. So I switched to a small roasting pan I have which is 9×14 inches and it was much roomier. All that said, I think your 12-inch cast iron would work. It’s ok if the asparagus is sitting on top for the final part of cooking, as it sort of steams with the lid/foil on top anyway. Enjoy! I can’t handle the crisp of that skin and all the gorgeous vegetables nuzzled up to the main event! 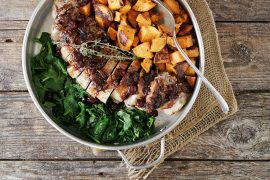 This takes ‘weeknight meal’ to a whole new level! Love it!! This will be on the menu for tonight, Jennifer. I already have every single item required for your dish! Not to mention, that it seems a good day to make it as (although it’s very mild out), it’s a damp, rainy day here in Southwestern Ontario. Just got back from my 3 mile morning walk and although I carried my umbrella, the wind and rain had me soaked by the time I got home. 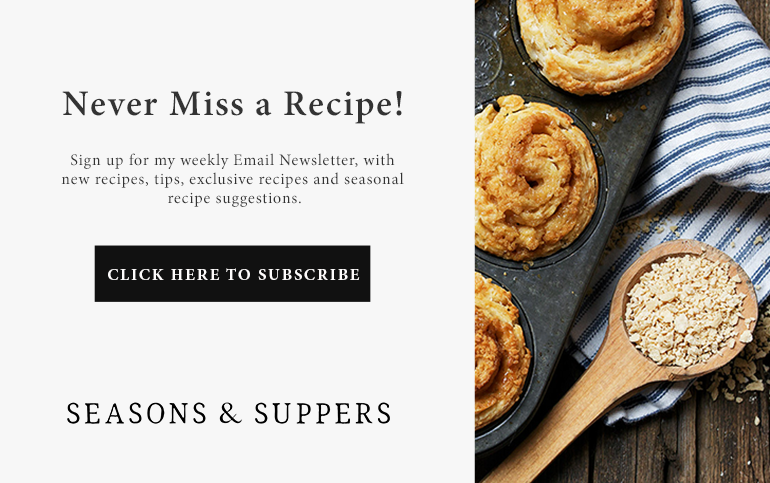 Not sure what I would do without all of your great recipes, my friend! Thanks so much, Colleen :) And yes! It’s a perfect day for this. It’s absolutely pouring here today and not so mild (5C). Here’s hoping for warmer days ahead, but for today, I’m staying in and baking cookies! Just look at those crispy thighs! What a beautiful dish – and I love all the green and of course potatoes. This is a perfect pan of flavor. I bet it smells delicious too. Pinned and scheduled to share! Oh gawsh, May doesn’t sound that fun up there weather wise! The weather was like that here in March and it just leaves me confused, but I have problems adjusting to change… so constant change is, like, my nightmare. lol. :) Anyways, Jennifer! THIS DISH! SO MUCH YES! I’m obsessing over that creamy sauce with those lil taters and ALL that green goodness! PLUS that crispy skinned chicken! This is HEAVEN! 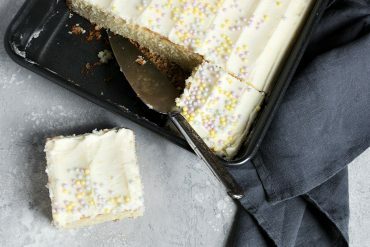 I just want to face plant into that pan! Love it! Cheers, friend! It’s not Cheyanne. It’s an anything is possible month, for sure :) Thanks so much!